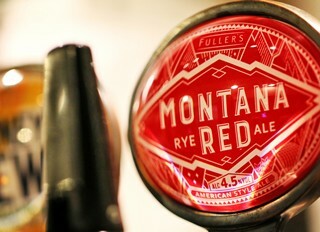 We are delighted to announce the latest addition to our keg ale portfolio: Montana Red. Montana Red follows the style of American red ales in its hop-driven flavour profile. Just as Montana is famous for its natural beauty, this new beer showcases the natural beauty of brewing techniques and ingredients. The red hue arises from rye crystal, which also offers complex breadcrumb flavours. Imperial malt brings a good depth to the flavour, better head retention and a natural fresh finish to the beer. Unlike regular American style ale, Montana Red also features Australian Galaxy hops for a heightened passion fruit palate, bitterness and a strong aroma due to its late addition into the brew. "We always want to brew exciting beers full of flavour. Today’s popular beers are packed with flavour and I am very happy with the depth of flavour our keg portfolio offers, Montana Red is a perfect addition that combines styles and ingredients from all over the world." This newest keg product has an ABV of 4.5%, sitting neatly alongside Frontier Lager and Wild River. Fancy trying our new red ale? Find your nearest pint here.